Nima Youshij (born as Ali Esfandyari in 1897) is perhaps the most important pillar of what is known today as modern poetry. His new style of poetry, which was named after him as Nimaic, breaks from the chains of classic Arouz (Arabic prosody) and by fabricating a kind of blank verse with loyalty to internal rhythm paved the way for the glorification of modern Persian free verse. In this peerless book, two young translators have collected and translated a number of critical notes on Nima’s poetry and vision by thirty-tree eminent Iranian literati such as Akhavan Saless, Y. Ariyanpour, Darush Ashouri, Reza Baraheni, Simin Behbahani, Forough Farrokhzad, Natel Khanlari, Nosrat Rahmani, Ahmad Shamlou… and Shafi’ei Kadkani. The second chapter then offers tenacious translations of the best known pieces of Nima’s poetry. 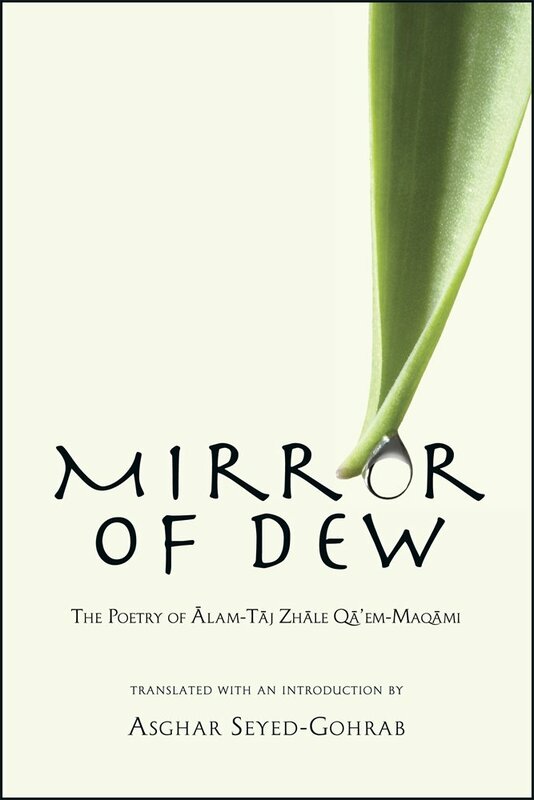 Mirror of Dew introduces one of Iran’s outstanding female poets, whose work has not previously been available in English. Zhāle Qā’em-Maqāmi (1883-1946) was a witness to pivotal social and political developments in Iran during its transition to modernity. Her poetry is deeply personal but includes social critique and offers a rare window into the impact of a modern awareness on private lives. She might be called the Emily Dickinson of Persian poetry, although Zhāle was married, against her will. 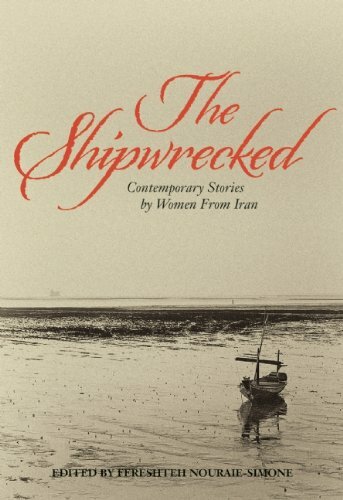 A travelogue written byone of the leading intellectuals of Iran a decade before the 1979 Revolution. Documenting Jalal Al-e Ahmad’s two-week-long trip to Israel in February of 1963, “Journey to the Land of Israel” caused a firestorm when it was published in Iran, upsetting the very revolutionary clerics whose anti-Western sentiments Al-e Ahmad himself had fueled. His enthusiasm having cooled down, Al-e Ahmad seems to have changed his views later on. Still, this is an interesting piece of historical value to read and know about. A hot from the oven book by Feminist Press which has collected a number of stories by contemporary Iranian women in the aftermath of revolution. The publisher has, unfortunately, offered no list of writers or stories included in the collection. An interesting book by title and theme, for whose assessment we have a whole year before us. 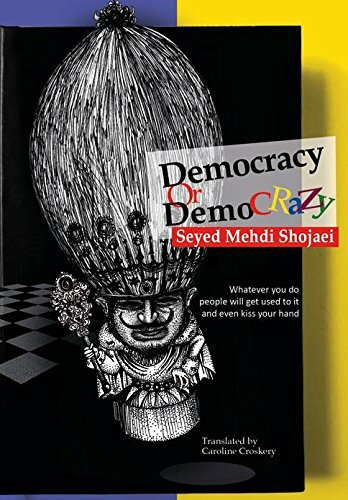 The title of this book is tantalizing as the story has apprently nothing to do with democracy, with the demo-somethings being in fact five sons of an imaginary king who is fond of naming his male offsprings as demo-things. The last of them, born blind and deformed, was popularized as ‘Demo-Crazy’. Sometimes compared by public readers to George Orwell’s Animal Farm, Democracy or Demo-Crazy as a novel has encouraged allegorical readings that is as universal as the former and would not disappoint its readers. Akashic Books continues its series of original noir anthologies, now with a book set in Tehran. Each book is comprised of all-new stories, each one set in a distinct neighborhood or location within the city of the book. 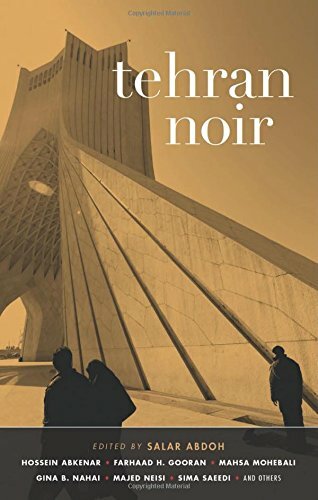 As the title suggests, Tehran Noir is another volume of the series which attempts in the noir fashion to pinpoint darker sides of life in other countries. The result is a couple of collections that I bet are unfavorable by Post-colonialist critics. 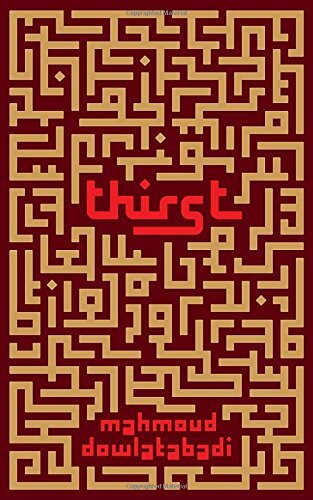 In this collection you will read stories by contemporary writers like Danial Haghighi, Vali Khalili, Lily Farhadpour, Mahsa Mohebali, Aida Moradi Ahani, Farhad Heidari Gooran, Yourik Karim-Masihi, Azardokht Bahrami…and Hossein Abkenar.